Just over a month ago I was given a framed picture, I say picture, as it is not truly a memorial. Anyway, this picture was for a soldier who served in the King’s Own Yorkshire Light Infantry during WW1. It would have been quite colourful, with its curled horn with a central white rose surrounded by a horse shoe shaped wreath containing the Battle Honours of the Regiment. The framed picture must have been on a family wall for many years as the soldiers number, rank and name are very faint and I do mean faint. Armed with a good source of light, magnifying glass, large cup of tea and a couple of tried and trusted websites I set off on my quest. The first two numbers and the last few numbers were easy to read, it was the ones in the middle that were the problem. His regiment was clear, he was a Private. His initial was clear, an old fashioned L, you know the one, similar to a £ sign. His name, well, I decided on M for the first letter, with a L in the middle. Variations of the names first few letters went on for a while, varying from Mc, Ma, Me and Mo. As you can guess one of my favourite websites was getting well and truly used and I was certainly making my subscription work. The eyes of a neighbour and fellow family historian were also called upon and she achieved the same as me. One thing that we both felt certain about was that he did not die as the CWGC and SWDTGW have no match for any permutation of his army number. The frame was put on my desk and left in view, but it was certainly not forgotten. Where else could I look? What else could I do? He was an army man. He may not have volunteered but he was called to Serve King and Country in some way but where? Who would know the regiment better than the Regimental Museum? The KOYLI museum is housed within Doncaster Museum, being moved from The Barracks at Pontefract. I ‘phoned, spoke to a nice man who told me he would get someone to call me back as the person who I needed to speak to was on his holidays. I didn’t have to wait long and Steve rang – I gave him the numbers, rank and what I thought was his name. He’d ring me back. Guess what ? He rang and came up with the same as me – no trace of our man. He did however, suggest that I go over and take the picture to the Museum, so that he could possibly, shed light on the matter. Believe you me, it needs a lot of light ! Today was the day I ventured to South Yorkshire, that OK as it was once part of the West Riding before all that reorganisation stuff in the 1970’s. The Museum is a nice place with nice helpful staff, but parking is ‘iffy’ as you need a voucher from reception to say you are in the library and you need to sign in but that’s not a problem, but the car park is smallish. Anyway, Steve looked at the picture and went on the web. He put various variations of the army number into websites and the numbers came up but with nothing matching the Regiment of anything that even on a good day you could say was his name. Steve, who works for the library, changes his ‘hat’ and does work for the KOYLI Museum one day a week and he told me that he thought ‘our man’ did serve, we know that, but that he could have served and done his duty only in the UK and therefore would not get a medal. We know ‘our man’ served in the King’s Own Yorkshire Light Infantry. We know that WW1 service records were damaged by the enemy in WW2 and are called ‘The Burnt Records’ for that very reason. 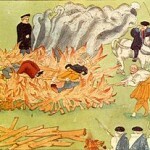 Some were partially burnt, some have water damage and others were totally destroyd. We know that he survived the war. We seem to know quite a lot don’t we? But the important segments still remain a mystery. What is his true army number? What is his name? The surname that seems to start with an ‘M’. I think that this picture will be picked up and put down on my more occasions before I get totally exhausted from searching. My thanks to Steve for his time and help and the fact that he like me, will keep looking. This entry was posted in General, News and tagged Army, campaign, conflict, cwgc, family, KOYLI, memorials, memory, military, names, photographs, records, Regiments, transcription, War, WW1 on May 31, 2011 by carol. In May of 2008 we spent a day in North Yorkshire – I think I’d said something like, ‘do you fancy a day out on Sunday?’. ‘Where?’ Would have been the answer and my reply would have been that I didn’t mind. Ben, by now would have known the places I’d been and would certainly have known there would have been a war memorial or 10 involved, with the odd churchyard thrown in for very good measure. It was a nice day but I seem to remember a little windy in Reeth. 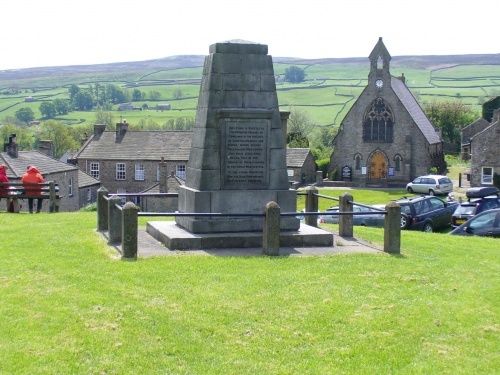 The Green in Reeth is a very large open piece of ground in the centre of the village surrounded by houses and a few shops. The War Memorial sits proud, high on The Green, protected by small posts and a rail. Although the structure is large, it is simple in design and bears the names of 28 men from the Grinton, Reeth and Marrick areas. The memorial seemed very much similar to others I’ve transcribed over the years – young men who were sons, brothers and husbands but each with a simple story to tell, until…….. It came to sort out the WW2 section. The first name of the memorial is that of Major A K Charlesworth. 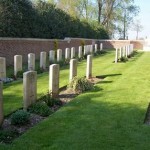 I found him on the CWGC and that gave me his full name, I then went onto look at the Army Roll of Honour 1939 – 1945 and confirmed information. But when I googled him – he had a rank and a medal, so I thought there could be a little bit more about him on the great www. Yes, there was ! A connection to Wakefield. Albany Kennett had lived at Grinton Lodge and this had been purchased with its kennels and outbuildings by Col. Albany Hawke Charlesworth, born in Stanley, Wakefield, who had been MP for Wakefield in the mid 1890’s, having purchased the hall in the 1880’s and becoming Lord of the Manor having purchased the rights from the Crown, using Grinton Lodge for shooting. 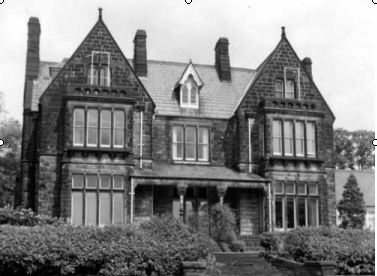 The census of 1891 has Albany Hawke with his family living at Chapelthorpe Hall, Wakefield. He states he is a ‘West Riding of York Colliery Proprietor’, born Chapelthorpe, West Riding of York – the transcription of that census is not correct. The family consists of Albany H aged 37, his wife Eleanor aged 24 and daughter Eleanor aged 21 months snf 15 servants including :- Housekeeper; Ladies maid; Housemaid; Laundress; Dairymaid; Grooms; Footmen, to name a few. The census of 1901 has the family living in Portman Square, London with Albany Hawke living ‘on his own means’ with his family and 14 servants, including :- Governess x 2 ; Housekeeper; Hospital Nurse; House and Kitchen Maids and Footman to name a few. The nurse would have been for Albany Hawke as he had been injured in a hunting accident. 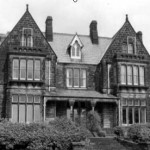 He had Grinton Lodge adapted to take his wheelchair. Ten years late in 1911, we have Albany Hawke with his wife and two daughter living at Brockhurst, W Didsbury and a mis-transcribed entry for places of birth. A H is a Colliery Owner / Director and his wife is listed under occupation as Christian Science Practitioner, with two other people in the household giving their occupation as Christian Science Teacher or Practioner, aswell, as the usual amount of servants. Albany Kennett, seems to be missing from the 1911 census or has been mis-transcribed and needs a little more time to find him. Also mentioned on the WW1 section is Stanley H Moore. Stanley Harding Moore had been born in 1898 in Reeth and in 1911 his father was recorded as being Head Teacher of the Friends School, Reeth. Tom Was, was the son of John Thomas Ward and Louise Alice. Tom was 1 of 7 children and in 1911 was a Student Teacher – could he have been working under Mr Moore at the Friends School? Tom’s father John Thomas Ward was noted as being the Registrar for BMD’s and a Mine Manager. If you can help with further information or a photograph, please let me know. This entry was posted in News, Wakefield Family History Sharing Upates and tagged Army, campaign, casualty, Chapelthorpe Hall, conflict, cwgc, family, Grinton, Grinton Hall, Marrick, memorials, military, MP, names, Navy, RAF, records, Reeth, Stanley, Wakefield, yorkshire on May 28, 2011 by carol. in the Central Library, third floor meeting room. 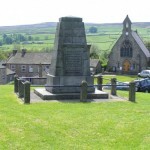 This entry was posted in General, News and tagged Adel Grange, memorials, names, records, Socialist, Suffragette, Trade Unionist, yorkshire on May 25, 2011 by carol. Just received this newsletter and thought some of you may be interested. When you are the President of the United States of America and you want to see where your ancestors lived they paint the whole town and roll out the red carpet for you. We can’t promise quite the same reception awaits you but we can take you back to exactly where your ancestors lived and died. We have a dedicated network of Tour Guides in the United Kingdom and Ireland who will create a wonderful tour of all the places you have found as you have researched your family history. They can show you everything that remains of your family’s past and combine this with places and sights which would have been familiar in their time. For every client the tour is unique. They may find a house is still standing, or a school, the family church, a factory or the local squire’s farm. Who knows? 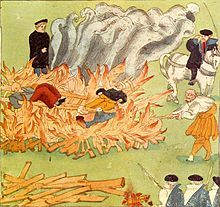 This year we have taken people to bog houses and Elizabethan country mansions, courthouses and mills, churchyards and taverns and told clients of the area’s history from 9th century inter-tribal battles to 19th century Luddite Revolts. What is in your past? 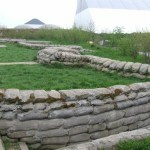 If you want to see your past take a look at our website www.seeyourpast.co.uk and see the full range of services we offer, and then when you start planning your visit to find your ancestors tell us where you want to go and when and we will begin to arrange a once-in-lifetime tour you will never forget. This entry was posted in News and tagged family, Family Records, memory, names, photographs, records, Relations, transcription, Wills on May 23, 2011 by carol. 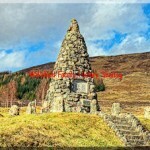 A short while ago a friend sent me his pictures of Glen Lyon War Memorial. He like many others, know I collect and transcribe them, and he kindly sent me a couple of pics taken on his adventures. I can’t say what a beautiful place it is, as I don’t know, but from the picture it certainly looks a pleasant place and with the sun shining and a blue sky, even a cold day would be a pleasant day in Glen Lyon. The glen is approx. 20 miles in length and stretches from Fortingall to Cashlie and from all accounts well worth a visit. Who is mentioned on this very special memorial, special, you will see why shortly. Firstly, and only because his name appears first on the memorial (all names are in rank order) is Lieutenant Colonel John Robert Beech CMG, DSO who died in Lincolnshire while in command of his troops. Next on the list is Clyde, actually, Robert Clyde Beech, the 20 year old son of John Robert. Next comes Alan Tompson, a relative by marriage of John Robert’s wife, who was the widow of John Bullough or Meggernie Castle. Also on the memorial is Francis Cowie who was before the war was an asistant factor at the castle. So all in all, the family from ‘the big house’ didn’t fair well from the war. The last name I am mentioning in this ‘snippet’ is that of John Alexander McCallum of Camusvrachan, KIA in October of 1918 aged 23. 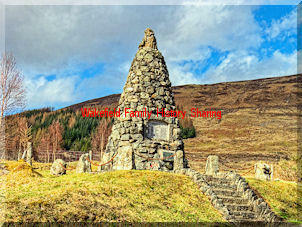 It was his father Alexander, who designed and built the Glen Lyon War Memorial. What greater gift could a father give to his son, a splendid memorial built at the side of the road that all who pass by will see and hopefully more will now know of the great love and sadness with which it was built. This entry was posted in General, News and tagged Army, campaign, casualty, conflict, cwgc, family, Glen Lyon, memorials, memory, military, names, Perthshire, RAF, records, Regiments, transcription, War on May 19, 2011 by carol. Just before Easter I spent a weekend with my daughter and her boyfriend. The weekend started with my driving down to Ealing, meeting my daughter and visiting one of her friends and her new little one. Then a drive to Basingstoke. Saturday started with a yummy breakfast and then onto Winchester, lunch in Raymond le Blanc’s, a visit to the Cathedral (memorials to follow very soon ) and finally an interesting visit to see The Round Table. 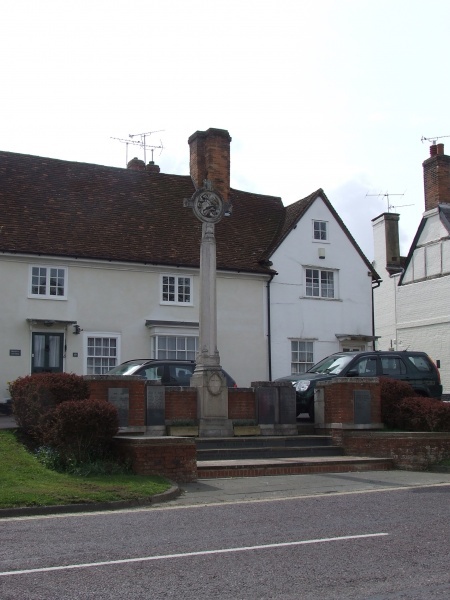 So Sunday arrived and a visit to Odiham and lunch, but before lunch I was given a short tour of Odiham, including, yes, the war memorial and the church – nice village and nice company. Oh! by the way the church has a beautiful window relating to the local RAF station. I’m not a great lover of modern stain glass but that was nice. But, to my surprise it wasn’t even a window, but a very good deception – a light box, but it still looked impressive. Now to the village memorial to those who have fought and died in two world wars. 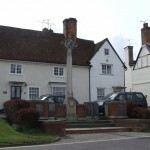 Who is mentioned on the memorial to the men and women of the Parish of Odiham ? Geoffrey Harris Gotelee, the son of Arthur and Esther of The Old House. Geoffrey in 1911 was a boarder at St Albans School, his parents at this time ran the Post Office. Richard Elkanah Hownam Healy, the son of Randolph and Alice of Hownam Lodge. 1911 sees Richard living in Kensington Hall Gardens and working as a Reporter for a Daily Paper. He is later mentioned in the London Gazette when he received his promotion. Another young man from the area was Arthur Henry Pither, son of Stephan and Sophia. Arthur worked in Quebec, arriving in 1908, but was back in the area by 1911. He did however, enlist in the Canadian Army and from that we can get a fleeting glimse of what he looked like. Guy Lutley Sclater, brother, son and husband. He served as a ~Captain in the Royal Navy and rests in Odiham Churchyard. Now, W G Wooldridge, he was a little bit of a problem and has not been identified by others who have transcribed Odiham Memorial, but I think family history helps a great deal when transcribing and knowing people make errors and what type of error could occur – well, I found him – so visit the transcription and see who he is and where he rests. In fact, if I had completed the transcription last week, I would have known where he was and could have visited, as I was only a matter of minutes away from him. The last young man I am going to mention in this taster is Reginald James Moody, son of Charles and Ellen. He served in the RFC and died on 4 March 1917 while flying with 2nd Lieut., Eric Edmund Horn. Edmund had enlisted on his 17th birthday and died on his 19th, so, so young and very brave. They both rest in the same cemetery. There are still a few young men whose information needs adding to the transcription and they will be finished shortly, as will the WW2 transcript. This entry was posted in General, Wakefield Family History Sharing Upates and tagged Army, campaign, casualty, conflict, cwgc, family, Hampshire, memorials, memory, military, names, Navy, Odiham, RAF, records, Regiments, transcription, War on May 15, 2011 by carol. As secretary and speaker secretary for Morley FHG I Thought you might be interested in our speaker this Wednesday. 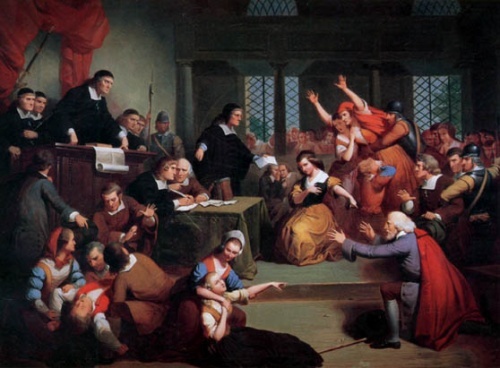 Roy Stockdill, genealogical researcher, writer & lecturer will be enlightening our group with the tales of Mary Bateman, the Yorkshire Witch. 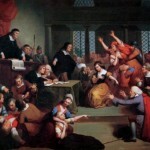 Roy, is well known in family history and genealogical circles and always gives very informative and interesting talks. Just to remind you Morleyfhg meet on the 1st Wednesday of the month in the Baker Room, under Morley Library. We open at 7pm for a 7.30 start, the group pride themselves on always being very helpful and informative to both members and guests. Tea & Coffee is available after the speaker. Members entry is free but we ask guests to pay £1. This entry was posted in News on May 2, 2011 by carol.